Your River Tubing Safari begins with a 30-45 minute scenic drive to the historic Rio Bueno River, discovered and named the "Good River" by Christopher Columbus and the Spanish in 1494. Put on your safety equipment and receive safety instructions from your trained guide. Follow your guide across the swaying "Irie Bridge" for a short hike through the cool rainforest along the riverbank while observing various species of vegetation to the starting point of your river tubing adventure. Take a short walk along the shoreline as the sand hugs your feet and caresses your toes before arriving at the Bengal Beach; have a cool refreshing drink at the bamboo bar, take a swim in the warm ocean water or just relax before your driver takes you on another adventure or back to the ship/resort. 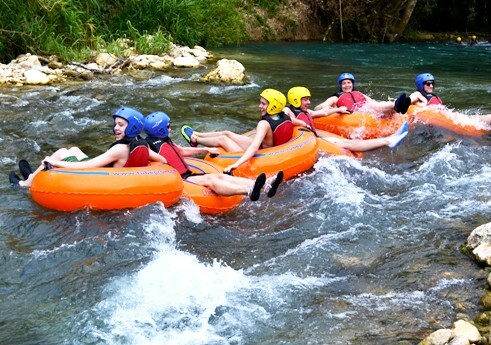 Your Montego Bay River Tubing tour lasts approximately 1 hour, depending on the river current and time you spend at the midway stop. 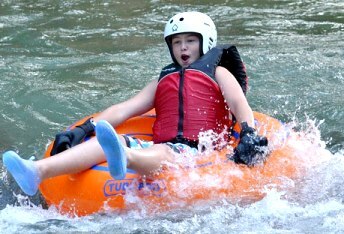 * Rio Bueno Tubing Safari begins at the same time as the White Water Kayaking, White Water Rafting and River Boarding so individual members of a family or group can choose different activities and go down the river together. The excursion was GREAT! Also the guides and driver were AWESOME! Thanks for making our vacation a success! Overall the trip was fine. 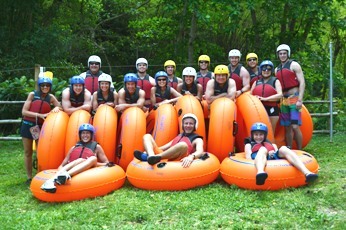 The tubing was fun and the lunch was good and the shopping had some variety. It was fabulous!!!!! The tour was great, driver was good too. Our tour guides did everything in their power to make us happy. Highly recommend this tour!